Twenty years later, we can reasonably call 1994 the birth of modern NFL drafting. That’s when the NFL went to a seven-round format, down from eight the previous season. Over that time period, and with five years of perspective, it’s safe to say that the 2009 draft is the worst of that era. It’s not really close. The dust from the 2009 NFL draft finally settled this past spring. That’s when the original contracts for that crop of first-round picks were up. Many of the players worth locking up (Clay Matthews, Brian Cushing, Brian Orakpo) already had been, but others were free to test the open market for the first time. When the league hammered out a new CBA in 2011, it agreed on a system in which first-round picks get four-year contracts, plus a fifth-year option; after five years, there’s a good chance a player is what he’ll be. We’re now five years removed from the 2009 draft, and, looking at draftees from that year, it’s ugly. Every other draft from 1994 to 2011 (the last couple of years are a little too recent) has produced at least eight Pro Bowl players from the first round, including at least three in the top 10. Those first 10 picks from ’09, which include exactly one Pro Bowl appearance, are actually where the class is the most horrific. The Rams thought Jason Smith — a converted tight end from Baylor who became the hot name in the months before the draft — would be their left tackle for the next decade. Three seasons after going with the no. 2 overall pick, he was traded to the Jets for fellow castoff Wayne Hunter. St. Louis is back at no. 2 this year, and the consensus from nearly everyone is that they’ll be taking another left tackle. Darrius Heyward-Bey was one of those picks that makes everyone recoil immediately. He had 42 catches during his final season at Maryland; five of those went for touchdowns. Still, DHB winning the 40 at that year’s combine was enough for Al Davis to make him the seventh overall pick. He was the first of six receivers taken in that first round. In 2014, he’ll begin the season on his third team in six years. The first few picks of every draft typically involve a player or two who is selected because the potential is just too enticing. They may not be finished products yet, and they may involve a little more risk, but what they’ll become is worth the wait. Jason Smith — and his fleet tight end feet — was that pick in 2009. But nobody thought there was any risk involved in drafting Aaron Curry. He was supposed to be ready. A four-year player at Wake Forest who was unbelievably productive and also a monster at the combine, Curry was generally considered the safest option in the entire draft. After bouncing around for a couple of years after being released by Seattle, Curry retired before last season. He was 27. Every draft has its terrible misses, but what sets the ’09 first round apart is that there were misses of every kind. Only a few players are out of football entirely, but a terrifyingly small percentage even warranted re-signing by the teams that drafted them. Of the 32 players, 13 are currently employed by their original team, and even that pool includes picks that have had relatively little impact. Larry English (16th overall) has never had more than three sacks in a season for San Diego. Peria Jerry (24th) has 3.5 in his entire Falcons career. Most thought Brandon Pettigrew (20th) would be on the chopping block in Detroit this offseason, and after a marvelous first couple of seasons, B.J. Raji (ninth) came back to the Packers in March on a one-year, $4 million deal after turning down an $8 million per year offer from Green Bay last offseason. Raji found a similarly unforgiving market as the rest of his draft-mates, many of whom hit free agency for the first time last year. Hakeem Nicks, Kenny Britt, and Jeremy Maclin were all looking to prove their long-term worth after struggling with injuries last year. Each signed one-year deals (Nicks and Britt with new teams). After four underwhelming seasons in Denver, Robert Ayers (18th) quietly signed with the Giants, while fellow Bronco Knowshon Moreno (12th) did the running back walk of shame to Miami. Ziggy Hood (32nd) was included in that slew of players signed by Jacksonville after a disappointing time in Pittsburgh, and Tyson Jackson (third) came to Atlanta after the best of his underwhelming seasons in Kansas City. I’ll give you five guesses as to where Josh Freeman (17th) is right now. OK, I’ll just tell you. He’s the backup on the Giants. Don’t pretend you knew that. The only players to cash in with new teams were Eugene Monroe (who played half a season with Baltimore last year), Malcolm Jenkins, and, somehow, Donald Brown. Vontae Davis and Percy Harvin both got paid (Davis this spring and Harvin last year), but each had to be traded first. For anyone thinking, Well, this is just the first round; plenty of teams find quality guys on day two, just hold on. Yes, that year’s second round featured LeSean McCoy and Jairus Byrd, but it also had some of the worst second-round picks of the past decade. Pat White and Clint Sintim, picked back-to-back by the Dolphins and Giants, respectively, are among the highest-drafted players in the past 10 years to start one game or less. That year’s second round did plenty to add to the defensive back graveyard in New England (Patrick Chung and Darius Butler) and the wide receiver scrap heap that is the Cleveland Browns (Brian Robiskie and Mohamed Massaquoi). And while we’re talking about the Browns, someone named David Veikune went with the 52nd pick, the one Cleveland got in the Mark Sanchez trade. The most egregious moves of that draft, though, are those that had the most lasting effect on draft-day strategy. Teams have become warier than ever of trading away future first-round picks to move up for players they want. Alphonso Smith and Everette Brown are the reasons why. The Broncos traded away their 2010 first-rounder to get Smith with the 37th pick. He’s currently out of the league. Carolina gave away its 2010 first-round pick to San Francisco in order to grab Brown at 43. He has seven career sacks. That future first-rounder became Mike Iupati. This is all worth rehashing not just as an excuse to bury players or waltz back through history, but because the impact of years like this matters. Josh Freeman flaming out in Tampa Bay has left the Bucs without a long-term answer at quarterback (or at least not one the new regime wants). 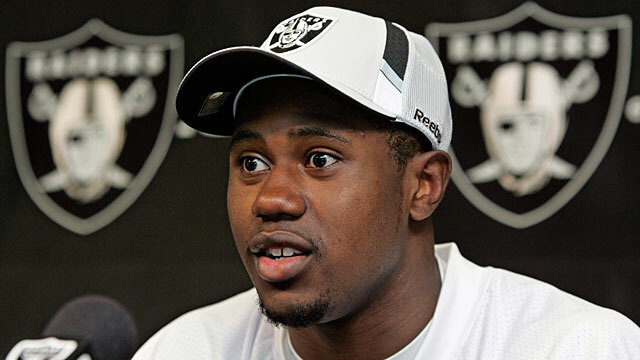 Sammy Watkins may very well be a Raider on Thursday because of Darrius Heyward-Bey not working out. 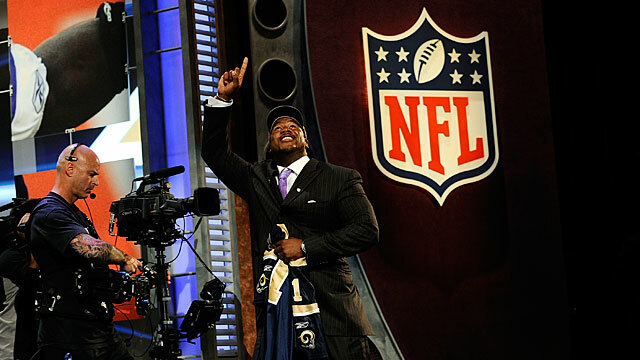 The same goes for Greg Robinson and the Rams. The Chiefs’ no. 1 need going into the draft is probably defensive line, specifically the spot vacated by Tyson Jackson. The Ravens managed to land the best offensive tackle from the class, but it’s because the second best (Michael Oher) didn’t work out that Baltimore needs offensive line help in the first couple of rounds. The coverage and the spectacle of the draft and its days-long presentation have gotten undeniably insane, but if there’s one argument for the insanity, it’s that these picks matter about as much as (and maybe more than) anyone thinks.